The Intellectual Property Department of Nestor Nestor Diculescu Kingston Petersen (NNDKP Consiliere in Proprietate Intelectuala SRL) is pleased to announce the promotion of Andreea Bende to the position of partner as of January 1, 2019. Thus, Andreea will now be the third partner of the division, together with Ana-Maria Baciu, coordinator, and Cosmina Simion. Andreea Bende joined NNDKP Consiliere in Proprietate Intelectuala SRL over 14 years ago, and her consistently upward journey towards the highest level of professional accomplishment tells a story about tenacity, ambition, loyalty and extraordinary diligence: she started her career in the intellectual property field as a paralegal in the IP department, but the passion she discovered for this field made her want more. Thus, Andreea entered an intense period of specialization in the intellectual property field, during which she was involved in a significant number of projects, starting from the very basic ones to those that required an increasing degree of professional sophistication and expertise. Today, Andreea is an intellectual property consultant who provides assistance regarding the registration, administration and protection of intellectual property rights as well as in related contentious matters, with a focus on trademark and design rights across several industries (in particular tobacco, FMCG, pharmaceuticals, media, telecom and automotive). Andreea is also actively engaged with international organizations such as INTA, ECTA and Marques and has been a member of the Romanian Chamber of Patent Attorneys as of 2008. 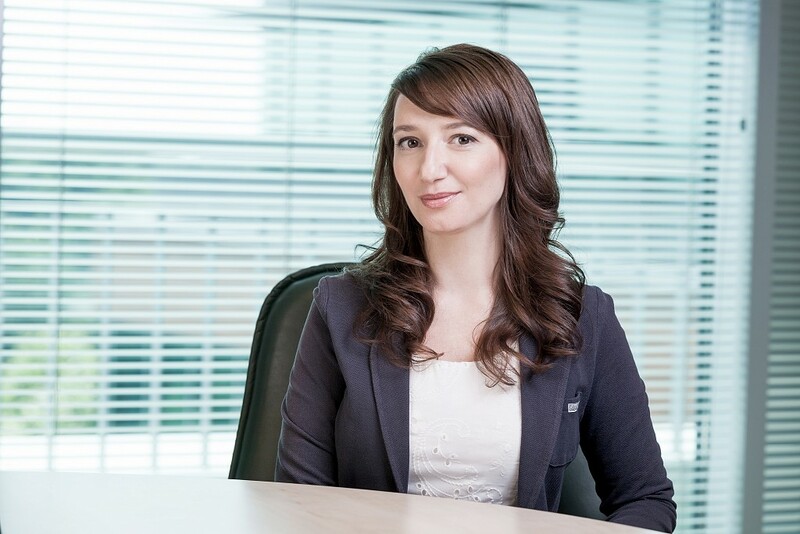 Throughout her career, Andreea has managed the intellectual property portfolios of several top companies active on the Romanian and international markets and managed the issues associated with the protection of intellectual property rights in several large-scale projects, such as the process of worldwide re-branding of Bitdefender. Andreea has had a 90% rate of success in the administrative proceedings in which she was involved or that she coordinated before the national authorities or the EUIPO. "Andreea’s promotion to Partner in the NNDKP IP was a natural decision that embodies the confirmation of her talent and skills as a top professional. I am proud of our journey together and I congratulate Andreea for this well-deserved recognition of her current and future role in the firm. I wish her all the best and I am confident that she will continue to bring her contribution with the same passion and involvement that she showed on the first day she set foot in the NNDKP office”, stated Ana-Maria Baciu, Partener and coordinator of NNDKP IP. NNDKP’s intellectual property arm (NNDKP IP) was established in 2003 and today is the most frequently awarded and highest ranked team in the Romanian jurisdiction by specialized IP research guides. For example, NNDKP IP received the IP Law firm of the Year in Romania award at the MIP Gala in 2014, 2015, 2016, 2017 and 2018 (the only firm in Romania to have been awarded this distinction five times).